In my first post for this blog, on Aug. 8th, I outlined how the definition of mobile learning has changed over the last 15 years. We have moved from defining mobile learning (or “mLearning”) to use small devices for learning. John Traxler’s definition of mLearning as “any educational provision where the sole or dominant technologies are handheld or palmtop devices” is a good example of thinking. 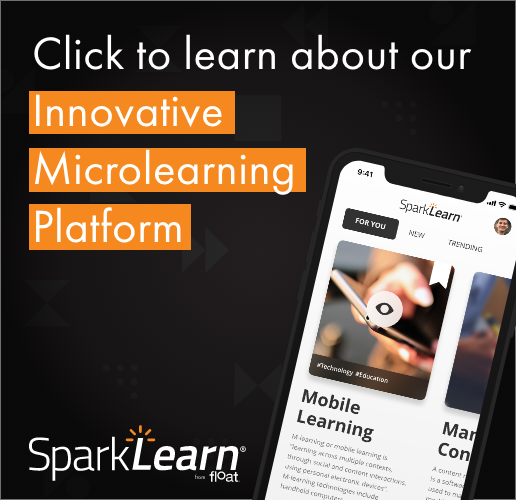 My definition is based on the affordances of being mobile, while having the ability to gain just-in-time knowledge at “the point of need.” Mobility and connectivity to information sources, including instructors and peers, are the cornerstones of mobile learning. Mobile learning involves the ability of the learner to move around and ask for information in the context in which they find themselves. So, when people ask me what I consider a trick question, “Is using a mobile phone in a classroom mobile learning?” my answer is that it depends on how it is being used and whether the user is allowed to move around or outside the classroom, while using their mobile device for learning. If the answer is no, then what they are doing is not mobile learning. What they are doing in this situation is the same as eLearning on a fixed screen, only with a mobile device, the screen is usually much smaller. The fact is that many classrooms and much eLearning are designed to immobilize learners by having them sit in one spot while looking at the teacher or a computer screen. If the learner is restricted in movement, then this is not mobile learning. It is sort of like saying, “You can only listen to your car radio while it is parked in the garage.” Yes, you can do it, but that is not the designed purpose of car radios. It’s the same thing for mobile learning – you can use a mobile device while spending most of your time in a classroom, but that is not really the purpose of its design. A mobile device, such as a smart phone or a tablet, should not another “attention well” that we can spend hours looking into, but should be deployed as a powerful supplementary device for extending our ability to learn, while we interact with the world around us. 7 Responses to Mobile Devices in the Classroom: is this really mobile learning? I never actually thought of that. What if the possibility for mobility exists but just isn’t necessary at the time. I don’t have to move to connect with my PLN, unless I need to move. Thank you so much for sharing such a clear definition of mobile learning. Like you, my definition has been changing over time and I have come to the same conclusions as you… that it needs to involve contextual learning in any environment, within or outside a classroom. We are considering making a move toward opening up our network (currently no phones or personal devices allowed) and including some purchases for more mobile hardware. Posts like this are exactly what I need to help everyone at my school understand the “vision” of where I hope we are going. Thanks for helping by passing on your vision! Completely agree with this. If I’m writing an essay I need to be still but if I’m using a mobile device (i’m not including laptops) I’m surely doing anything but typing an essay and instead using all the features that mobile devices make so easy to use. There is still a classroom mentality at larger rather than saying that anywhere anytime can be a learning environment and in such a place mobiles are essential.